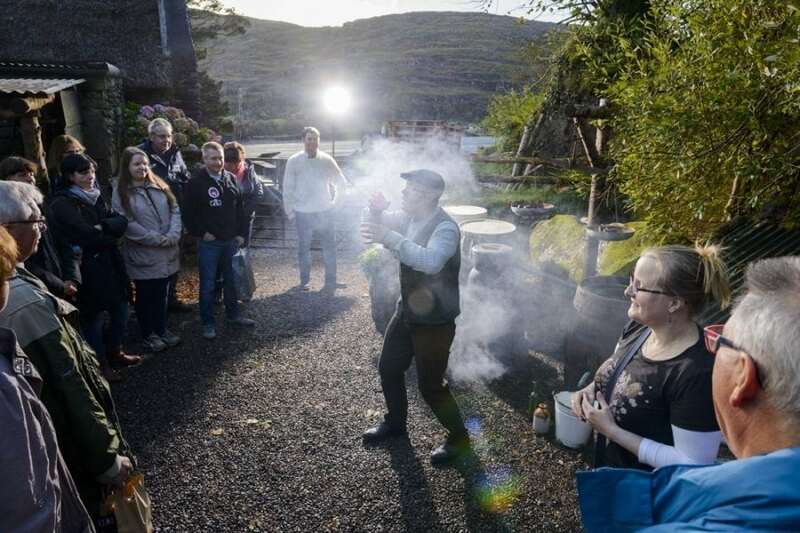 Our Irish evening entertainment includes our “American Wake” and “The Home Coming” presentations. 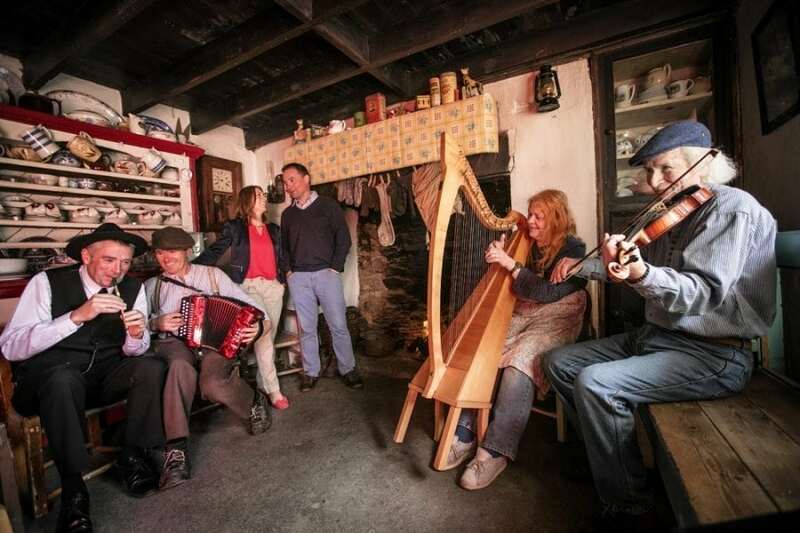 These are nights of Irish food, music, song, dance and story telling, re-enacting the old customs that took place in Irish homes the night before a family member emigrated, or returned, from a foreign land. These traditional Irish hooleys were known locally as “Ball Nights“. 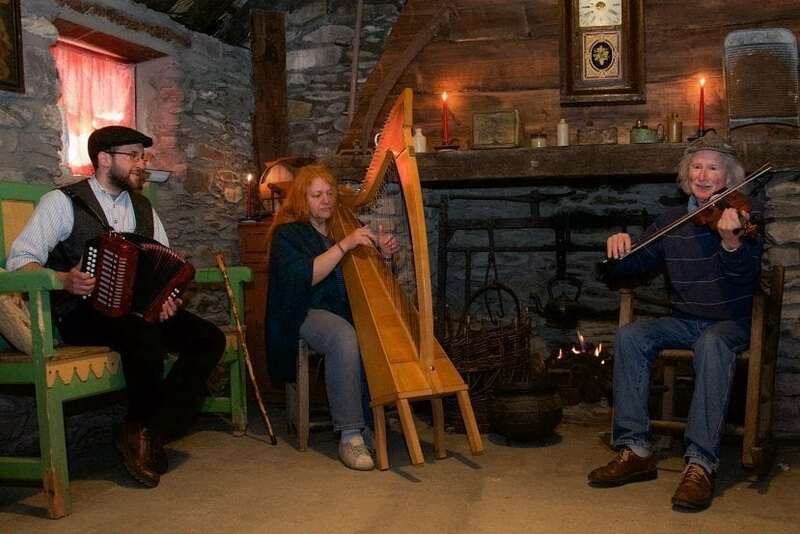 Upon arrival at Molly Gallivan’s Cottage, guests will be treated to a traditional Irish three course meal. 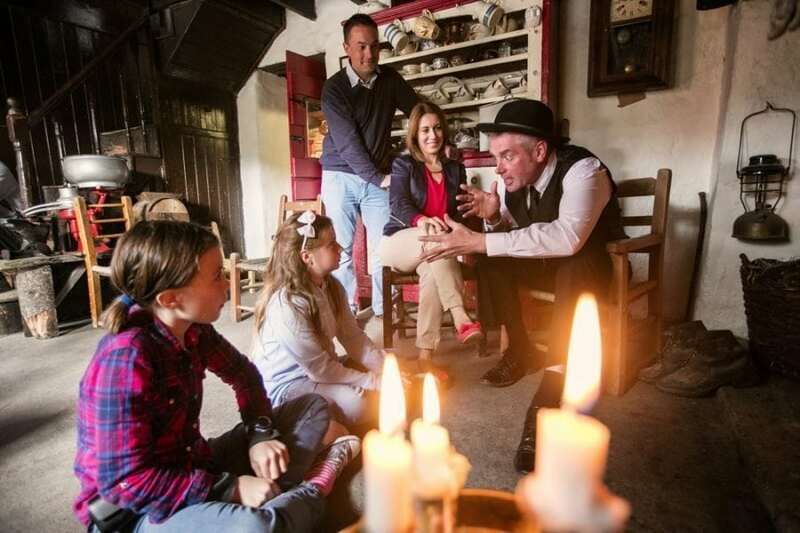 Then sit back and relax around Molly’s open fire in her 200 year old cottage. 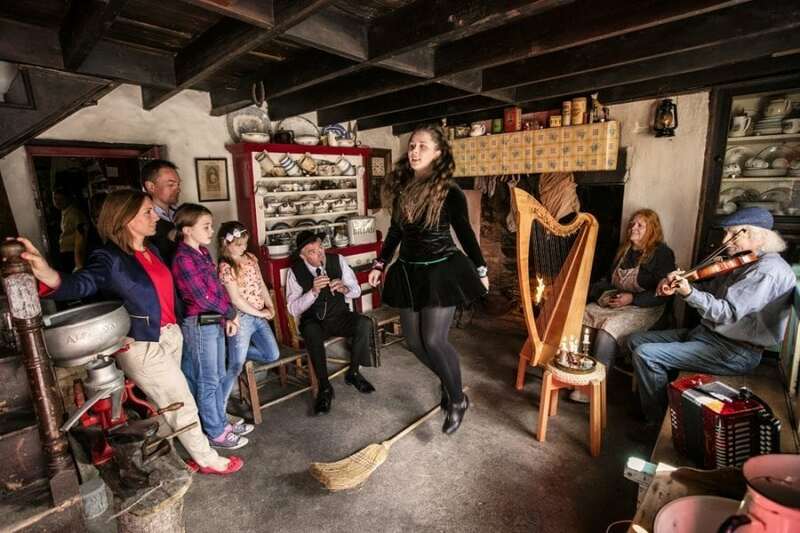 Here, local actors, singers, musicians, dancers and story teller will perform for you in the true traditional Irish spirit. Your night will be hosted by a local Seanchai (Storyteller). He will take you back in time to the excitement and merriment that was the “Ball Night”. 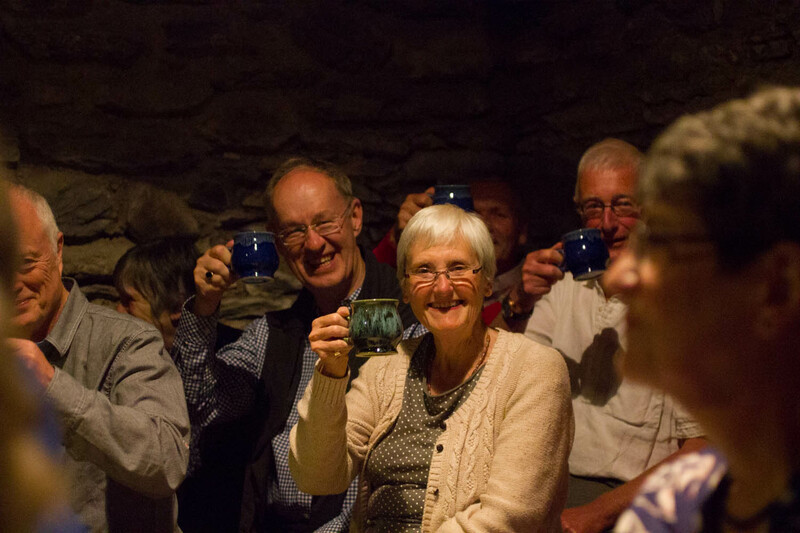 During the night you will be offered refreshments, invited to dance, sing a song or maybe tell a story of your own! 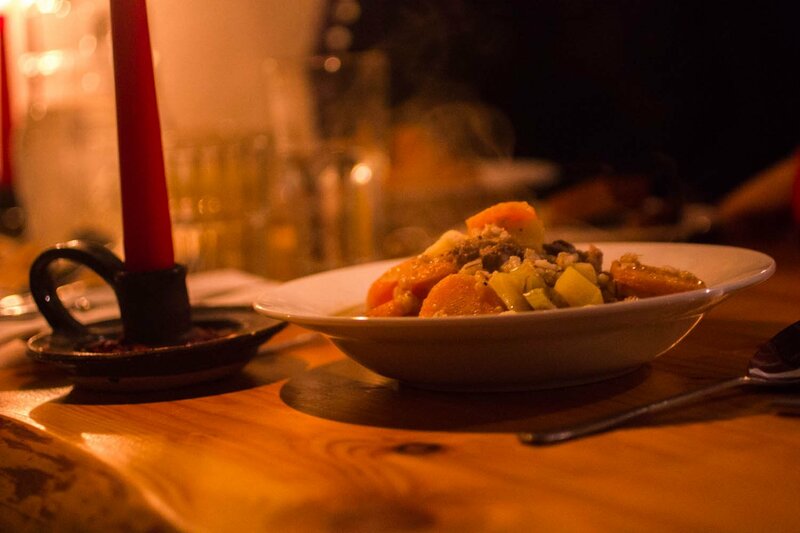 A surprise treat can also be expected on this very unique night. 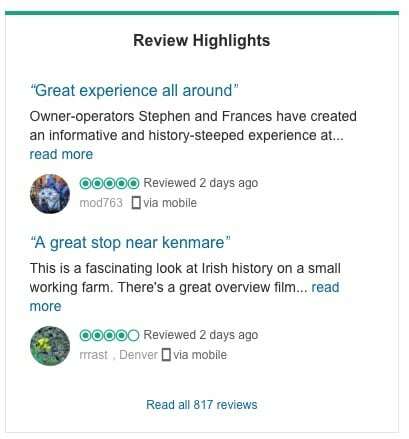 Not to be missed when in Ireland. Young and old welcome. Transport can be arranged on request from your accommodation.